I was looking for interesting films to watch and discovering new music to listen to. I came across ‘The idea of happiness’ German film soundtrack by Fewjar music band. First, let me tell you a little bit about the film soundtrack. The selected soundtrack playlist comes from a Berlin-based band called ‘Fewjar‘ playing in multiple genres such as Electro, the 80s, Rock, Progressive, Psychedelic, Crossover, Triphop. You can follow them on their various social accounts by checking the links in their Youtube description below their videos. Now, sit back, relax, be patient and wait a minute for the first song to kick off fully! Fewjar band regularly organises on Youtube live room sessions, where they play for you their songs live in their studio as well as occasionally bring guests to their recording sessions. They can also play songs upon request if you notify them sufficiently in advance by commenting under their Youtube live videos. Here are few samples of their live studio sessions, in which they connect with their audience. What do you think about their music? Now, as you may have guessed, the film is also in German. But don’t worry because it is subtitled in English. Feeling relieved?😌 It’s a very well done psychological thriller. Although it’s not my film genre, I truly enjoyed it and hope you will, too! If you liked it, support the film project! You can also follow Zeo on different social media accounts that are displayed on his Patreon project page. In Nigeria, Hip-hop music and dance only began to gain popularity in the mid-1990s. The initial success of The Remedies was probably the catalyst. Formed in 1997, the group released two songs, “Judile” and “Shako mo”, which became overnight hits in Nigeria. Enjoy this Youtube videos’playlistt from The Remedies! Now show us your moves on one of these music tracks by copying your video link in the comment box! Can you be as good bowler as b-boy? 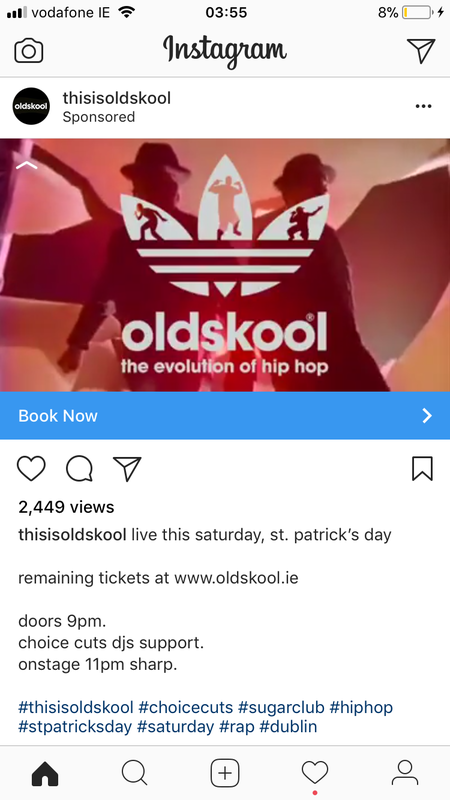 During the 2017 Saint Patrick’s weekend, we had the pleasure to be entertained by a 7 piece oldskool hip-hop cover band playing live in Dublin. The band joined the dots from The Sugar Hill to Dr Dre to Eminem. WHAT DOES OLD SCHOOL HIP HOP MUSIC MEAN? If you are in Ireland for 2018 St Patrick’s weekend, you are lucky! The band will be performing again this Saturday at The Sugar Club, Dublin! You can book your tickets here or on their website mentioned below. Want to know more how they sound? Then watch these videos below. They were recorded live on Periscope on @emelinej1 (Twitter live streaming service) and Facebook live. Don’t miss the Varekai’s Cirque du Soleil show in Dublin! First, let me share with you a slideshow of the programme explaining you a little bit more the Varekai’s story plot! Please note that not all pictures from the programme are included. I sampled the most important ones to understand the story! And you, did you go and watch the live show? What did you think about it? Share with us your impressions! For my part, I decided to celebrate new year’s eve a little bit in advance!😂 I went to this tribute to Prince with DJ Al Murphy playing lots of Prince’s tunes and then watched the live recording of his 1987 Sign o’ the Times tour on Friday 30th December 2016 at The Sugar Club, Dublin (Ireland). Here are recordings in picture and audio of the DJ’s act. Now, I’d like to share with you some videos taken at the event. I would like to apologise if the last video’s soundtrack isn’t from Prince! I experienced few technical issues trying to publish a live YouTube video and it ended up recording the visuals without the sound!🤔😤 So I picked a nice song in a similar style to add to the video.🙂😉 Anyway, I hope you will enjoy them! The charity event in aid of Médecins Sans Frontières (Doctors Without Borders) took place on Friday 23rd December 2016 at the beautiful and cosy in Dublin (Ireland).🔥 There was a fun and warm filled atmosphere to it and the live concerts were very good! If you’d like to know more about the event itself, check their event page. The music was varied. It started off with what I would call ‘ambient music’ with Daniel McDermott playing at the keyboard and using other pre-recorded instrumental pieces. It continued on with a brand new Irish hip-hop duet called ‘God Creative and Crimes Against’ and finished off with a folk and pop music band led by Conor O’Mally. Entry tickets and Conor O’Meally music CDs purchased by the audience went into the fundraising initiative for the charitable organisation. Now, I’m sure you are dying to watch the Youtube videos, right 😜😉?! Here you go! Did you enjoy these? Have you been to the event and want to share your own videos and pictures? If so, add them to the ‘Comment’ box below!